The process of logging in the invoices demands attention to details along with the capability of analyze. It is very important to have your head in the game in order to not make mistakes. It’s practically the main activity in the Accounts Payable department. If you don’t have logged in invoices, the other processes cannot move on: matching, statements, payments. Payments are vital, because as we say, what is more scary than zombies? Unpaid invoices. My summer job experience was a good one, due to the fact that it didn’t matter that you were a summer jobber; everybody treated you with respect. Fortunately, I was given the chance to continue the Office Depot experience. 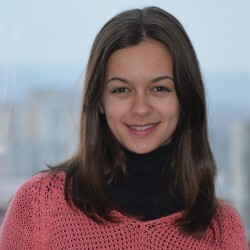 I am very happy that I am working in a such a good environment where you have the possibility to meet great and funny people, have fun and last but not least to work and learn a lot of interesting things regarding accounting (especially when I am studying accounting at the faculty). This fact brings a plus for my experience in this domain, before even graduating. About this question, I can think of a lot of aspects. 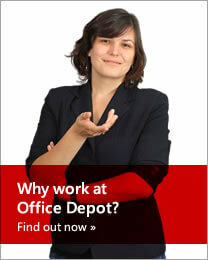 Working at Office Depot makes you feel that everybody has the same age, you don’t feel younger or older. You can have others’ respect even though you are still in college and you haven’t acquired enough life and professional experience. They treat you with patience being happy to help. No matter what they work on or how busy they are, if you need some help, they finish their urgent tasks and they start finding a solution with you. A lot of funny competitions take place during the year and winners get presents and small attentions. It is very fun to be involved with your colleagues in other activities too. A competition like designing the scariest apple for Halloween during work hours gives you time to relax and have fun at the work place! Do you want to have that feeling that you don’t actually work? Because you enjoy so much what you’re doing that you don’t actually work, you just acquire experience while being in the company of nice and smart people? I appreciate that when sometimes I’m not able to give my 100%, my colleagues are willing to help and support me. And if I have a bad day, they understand, because they know that I’m still doing my best.